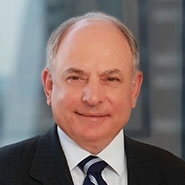 Lewis Rice is pleased to announce that member Frank B. Janoski was selected among America's Top 100 High Stakes Litigators® for 2019. Selection is by invitation only, and qualifying attorneys must have litigated a matter with at least $2,000,000 in alleged damages at stake or with the fate of the business worth at least $2,000,000. Subsequently, candidates are analyzed based on experience, representative high stakes matters, peer reputation, and community impact. The top 100 attorneys in each state receive this honor, which equates to less than 0.5% of active attorneys in the United States. Frank practices in the areas of intellectual property and commercial litigation in the United States and around the world. His years of experience include intellectual property litigation, transactions, opinions, licensing, franchising, trademarks, copyrights, anti-competitive practices, and obtaining protection related to patents, among others. He represents companies and individuals in areas of technology including software, wires and cables, printing processes, plastics, injection molding, mechanical machines, sporting goods and games, chemical products, business method patents, biotechnology, and many others.